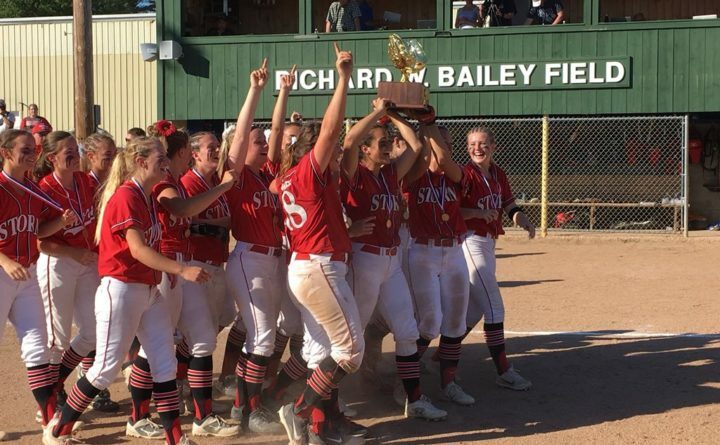 The Scarborough High School softball team celebrates with their second straight Class A state championship trophy after defeating Oxford Hills Regional High School, 12-0, Saturday. Scarborough wins the class A state softball championship 12-0 after an 11 run 6th! Scarborough takes a 1-0 lead over Oxford Hills in the 3rd! Bottom 3rd, It’s a Pitchers duel so far were scoreless in the class A Softball Championship!